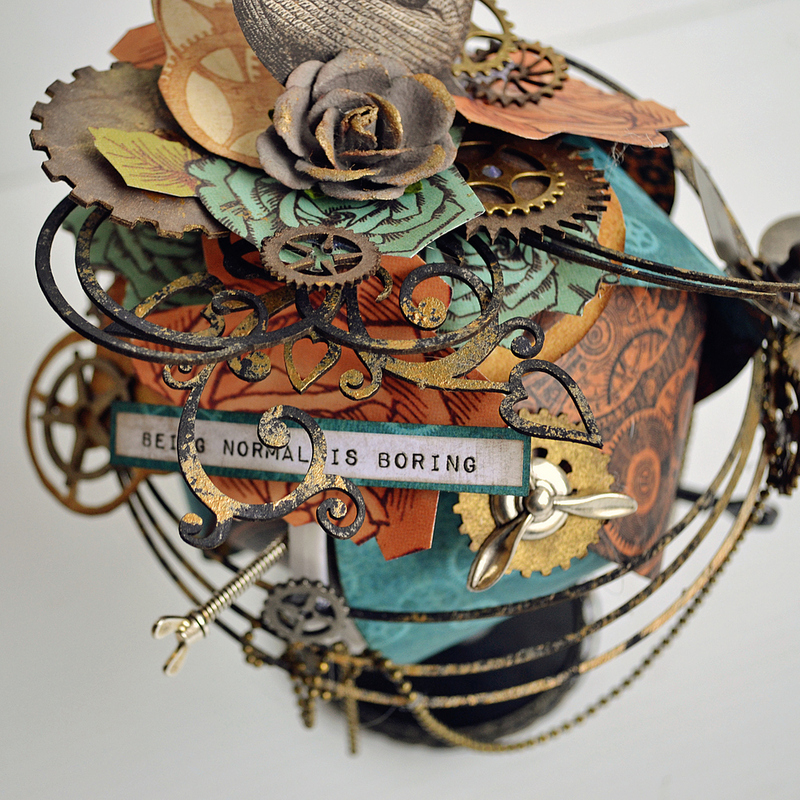 It is with much pleasure that I submit my application for the Graphic 45 2018 Brand Ambassador Audition. 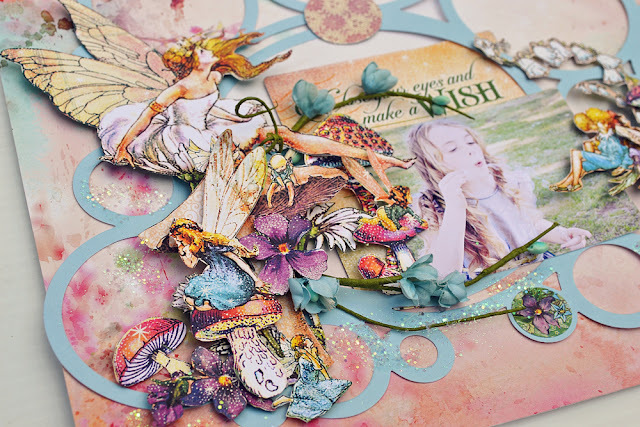 Creating with Graphic 45 collections has always been a beautiful creative journey for me. 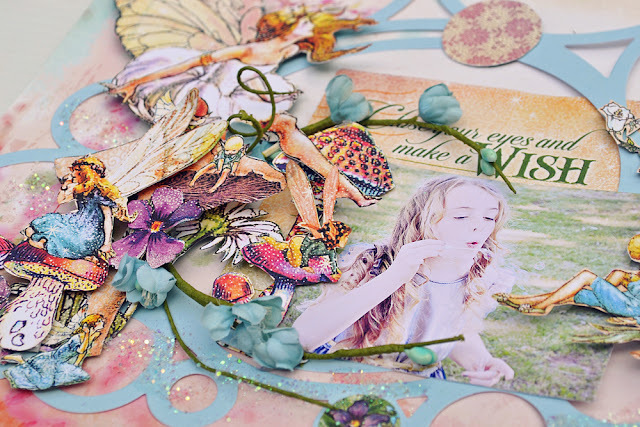 I am a dimensional paper crafter and I was able to add lots of layers with fussy cut elements from the Fairy Dust patterned papers for my layout "Believe in Magic". I enjoy creating scenes as an extension of my photos - My youngest girls loves bubbles (and fairies) and I extended the blowing bubbles theme with the circle elements of the layout. Some random circles were added with the Cardstock Stickers and circles cut from the Daisy Chain paper. 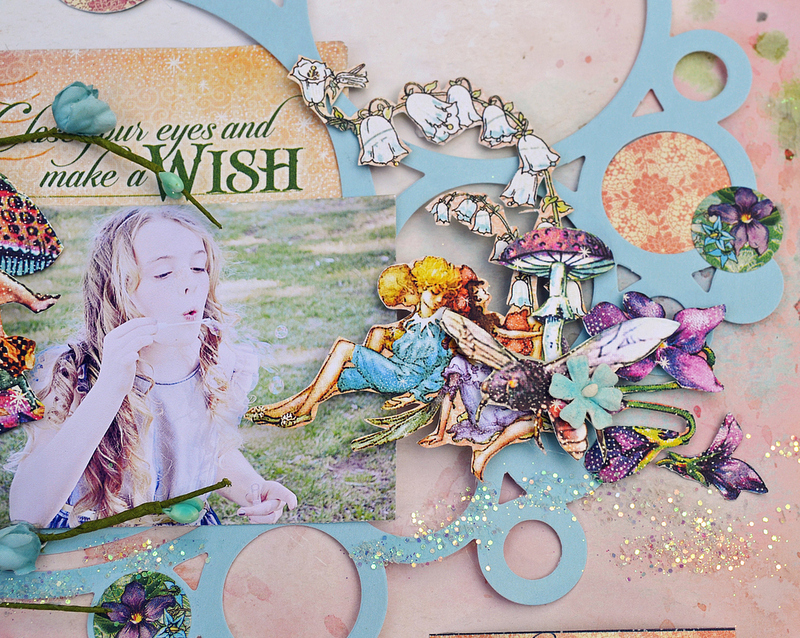 Fairies and pretty violet blooms have been cut from Fairie Dust and Dreamland papers. 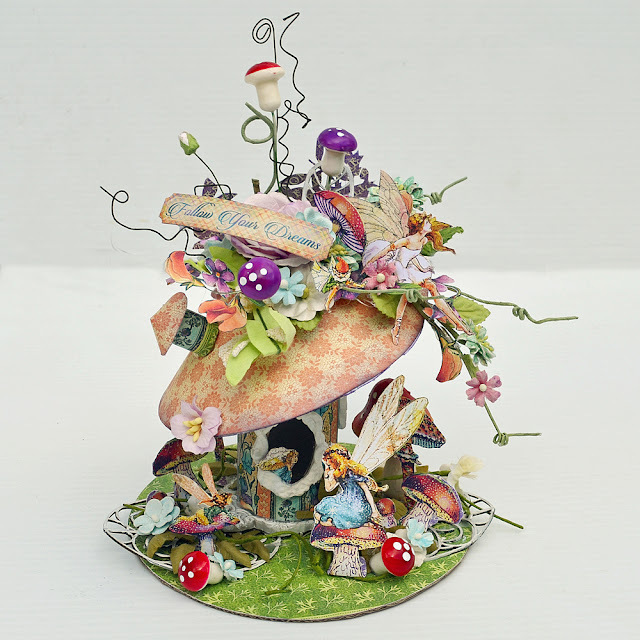 Also from one of the larger cards from the Journaling & Ephemera Card Pack. 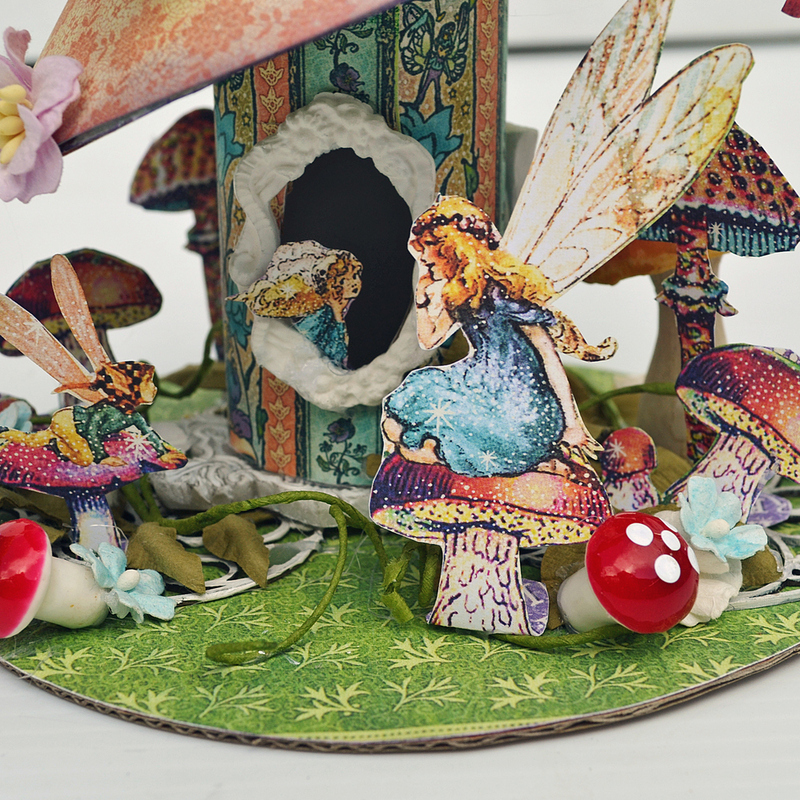 Fairies and violets were layered with cute toadstools from the Tiny Toadstools paper. 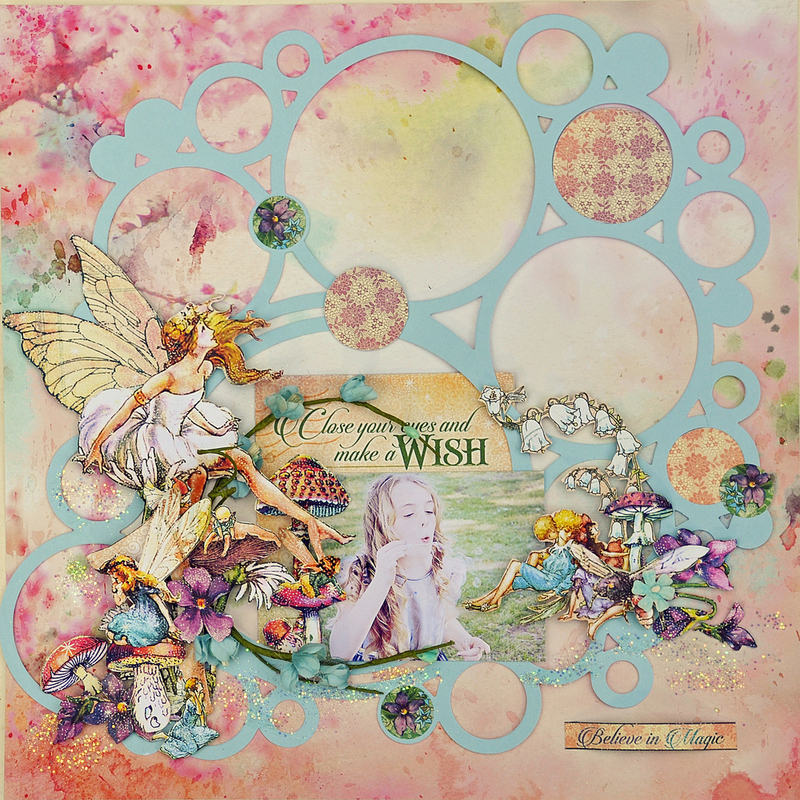 The journaling card with 'Close your eyes and make a Wish' was the perfect sentiment for my photo. 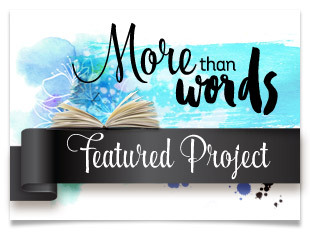 As much as I love creating layouts, I also enjoy going beyond the page and altering items. 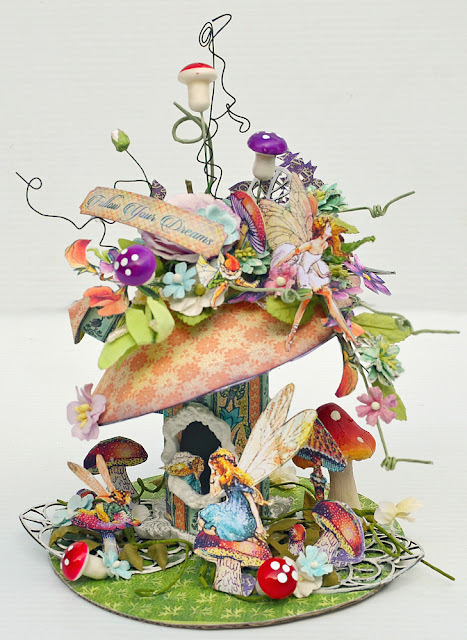 I have again chosen the delightful Fairy Dust Collection, have up cycled a toilet roll holder and used it in the creation of this Fairy House. 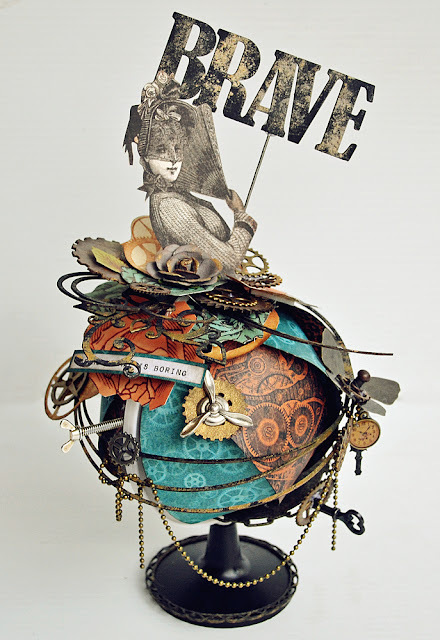 This features paper styling and lots of fussy cut elements. I really did go to my happy place when I created this! 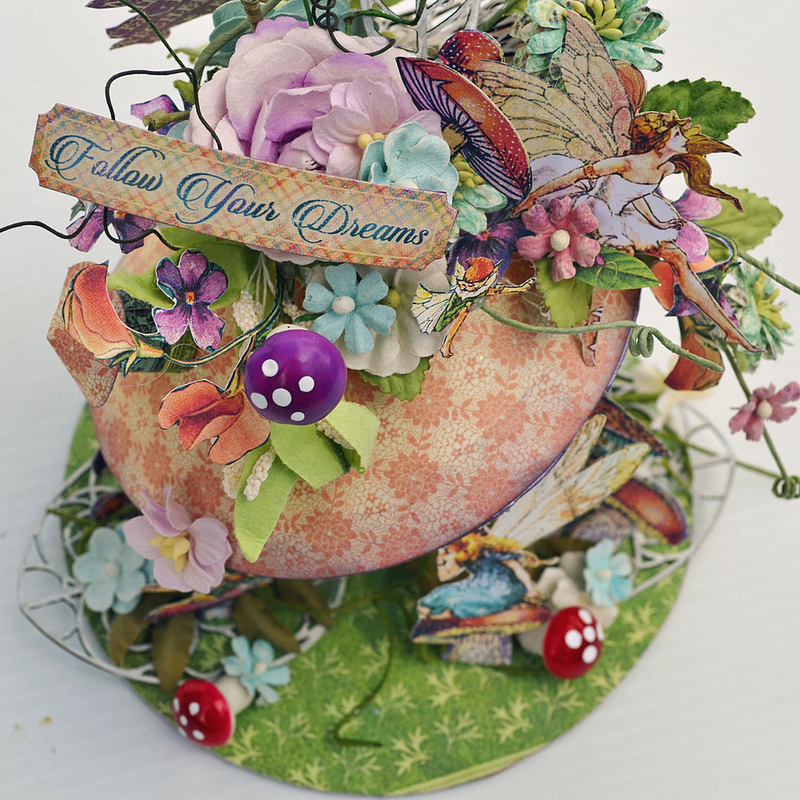 Before I sign off, I would like to share just one more of my recently altered projects with Graphic 45 loveliness. Thank you so much for the opportunity of applying for Graphic 45 2018 Brand Ambassador and for your time in reviewing my projects.